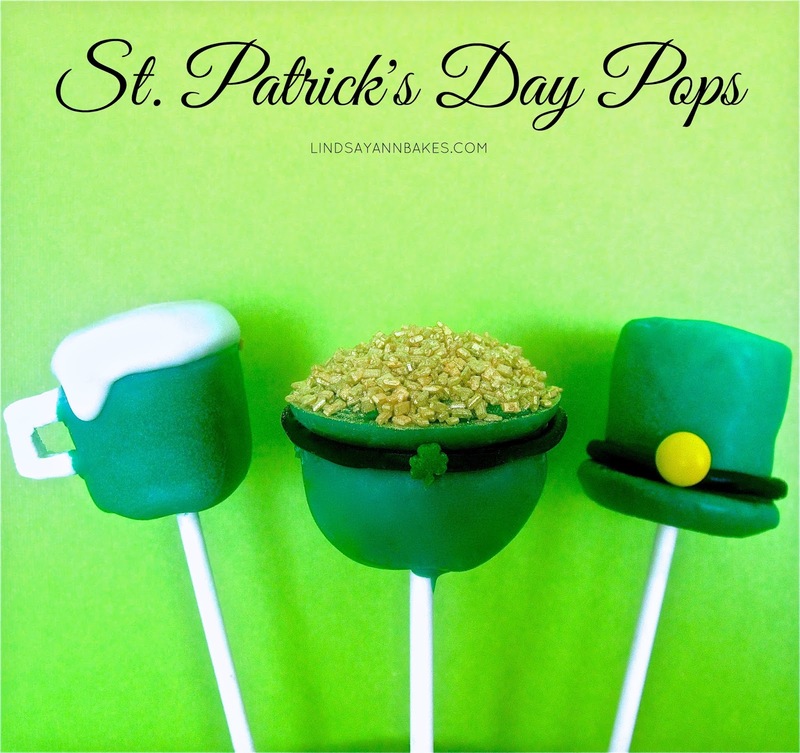 With St. Patty's Dy coming up, what is more perfect than mint+ chocolate?! I used my amazingly fudgy brownie recipe and topped them with some cool, creamy mint Oreo filling and finished them with a layer of rich chocolate ganache. They are seriously AMAZING!! Preheat oven to 350 degrees F. Line an 8 inch square pan with foil or parchment paper. Bake for about 35-45 minutes. An inserted toothpick will come out with moist crumbs sticking to it. Do not over bake. Cool brownies completely in the pan on a cooling rack. With an electric mixer, beat butter on medium speed until smooth. Gradually beat in powdered sugar and salt until incorporated. Add cream 1 tablespoon at a time and beat on medium speed for about 3 minutes, until you have reached your desired consistency. Beat in vanilla and peppermint. Add a tiny bit of green food coloring until you have reached your desired shade. Fold in cookie pieces. Spread onto completely cooled brownies. Place chocolate morsels in a small bowl, set aside. In saucepan, heat butter and cream over medium heat just until it starts to boil. Immediately pour over chocolate morsels. Let sit for a minute and gently stir until smooth. Pour over frosted brownies. Spread evenly on top. Refrigerate or let sit until ganache has set. Enjoy them chilled or bring to room temperature before serving. Cut into 12 bars, or 16- two inch squares. Store leftovers in an air tight container. 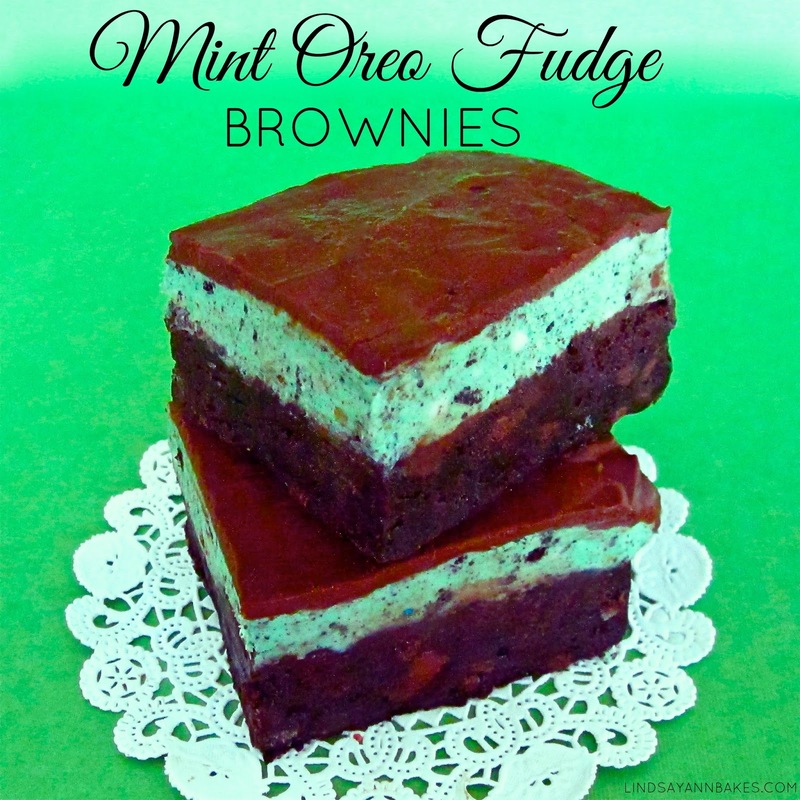 Want more minty recipes?! Click the links below and check them out!